Cockroaches are notorious for carrying deadly germs and bacteria around their body, which had caused asthma attacks and allergic reactions to young children. Having one cockroach in the house could multiply to many. One cockroach produces egg sack which can contain up to 40 baby nymphs. If there’s one you have seen lately, you might haven’t seen the rest of many, many roaches. If this infestation is present, it’s best to call a licensed pest control operator to address the problem. Pro Tip: Eliminate leftovers in the open and moisture areas where roaches love to thrive. Keep sink clean and even your pets bowl. Put food in closed containers to eliminate any attraction. Ants are an issue all year round. In preparation for the cold winter season, ants become more active in autumn, looking for warm places to build their colony. Pro Tip: Regularly sweep your floors and eliminate food crumbs scattered on the floor. Seal possible entries like small cracks. 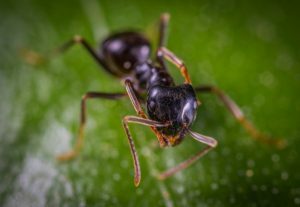 If you see a line of ants, call a pest control service the soonest possible. Rodents such as mice and rats are active throughout the year. Like many other animals, they seel for ideal warm places to live in when the winter comes. Our beloved homes can be their number one attraction. Rodents can climb and fit through small holes, which makes it easy for them to get indoors. Uncontrolled, rodents can spread diseases, and not only they pose serious health risks, but they can also cause costly structural damages as they chew on electrical wires and furniture, and nest in insulation. Pro Tip: To avoid an unfortunate invasion, store food in sealed containers. Seal possible access points like cracks and holes. Install screens on exterior doors and windows. Bedbugs are nasty pests that are hard to deal with it. Bedbug infestation is one of the most challenging outbreaks to address. Bedbugs bites are insanely itchy, and sometimes trigger severe allergic reactions and even fever! These bloodsuckers are hitchhikers, which means that they can transfer from one place to another by latching on to your purses, bags, and clothes in one single contact. If one room is infested with bedbugs, the infestation then could spread to the rest of the rooms in your home. Moreover, this can happen fast, which is why having a pest inspection completed at your property is essential. Pro Tip: Regularly inspect your stuff and even mattresses, and bedsheets for any bug sign. Check as well your family members and yourself for bite marks. Once you suspect an infestation, call a pest control professional immediately. If you spot any of these autumn pests in your home, you have come just to the resting place. Trusted Pest Management delivers you the most comprehensive, proactive, and eco-friendly pest control procedures that relieve you from any of your pest problems. We perform rigorous pest inspection Brisbane, and pest treatment and pest removal in the event of an active infestation. All our services are available across Queensland, Australia. Don’t hesitate to call us today!